This is another category where ‘Avatar’ confuses the hell out of everyone. For me, good cinematography is where the director of photography (DP) is able to use a good camera and together with good lighting, is able to capture something beautiful. Whether it’s a long shot of a mountain or the close shot of an actor looking all tensed. Therefore, how do you define ‘Avatar’ in terms of cinematography? Yes, you can say that Pandora looks gorgeous because of the cinematography but what was the method used to capture those scenes? ‘Avatar’ after all was not shot on actual location but was heavily visual effects work. Do we award the DP of ‘Avatar’ because he was able to capture two actors standing in front of a green screen, and at the same time able to imagine how the various effects work of the trees and the plants are gonna fit in later on? Or is he able to see the effects work then and there itself through a special LCD screen that shows what is being captured by the camera (a new technological achievement which I have mentioned in my Visual Effects post)? Do we also award him because he was able to shoot the movie in 3D using the newly-created 3D camera? There are just too many questions and I dare say that all this might indeed be an Achievement in Cinematography. He misunderstood the meaning of Youtube. But what about the traditional DPs, do we forget about them? Do we forget Bruno Delbonnel’s excellent work in ‘Harry Potter and the Half-Blood Prince’, which in my opinion is the most beautifully captured Potter film to date? Do we forget Barry Ackroyd’s work in ‘The Hurt Locker’ where he was able to capture every intense moment in a very gritty fashion? Do we forget Robert Richardson’s work in ‘Inglourious Basterds’, on how he amazingly shot scenes where the cast were mainly having just conversations? 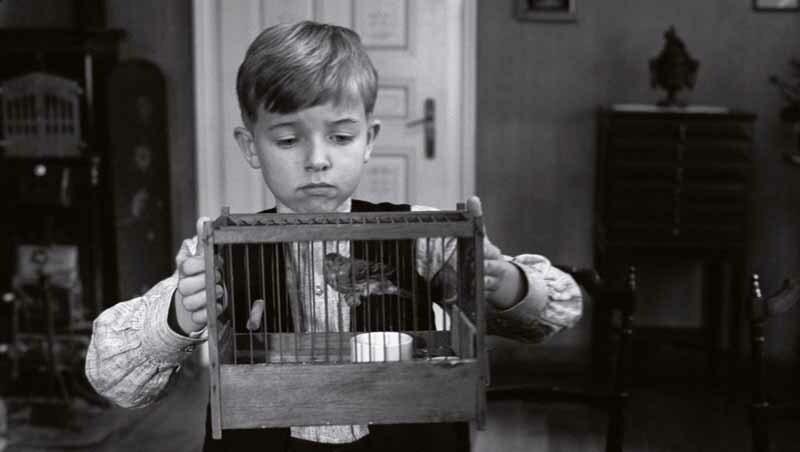 Do we forget Christian Berger’s work in ‘The White Ribbon’ where pre-World War Germany was captured in a very eerie way? The answer is no. These guys are the best at what they do but technology calls for a new way of doing things and Mauro Fiore may just be the only person who has achieved something new when he captured ‘Avatar’. To be honest, I still do not know what his method was but I am going for the long shot here and predict that he will win. However, I am still not happy not knowing how he did it. If ‘Avatar’ wasn’t nominated, there are some pretty strong contenders here. I would rather go for ‘The Hurt Locker’ but I also have to say that this works hand in hand with Film Editing. The end product is a feature film that is being shot and edited to have more of a documentary feel to it. This of course tends to give the audience a sort of realism effect and resulted in them to be more engaged in the plot as they feel that it’s real. And I am not even talking about filming under such heat and going down and dirty to capture every fine detail in the art of diffusing bombs. Like I said, it doesn’t feel like they’re shooting for a feature film, but more for a documentary. As for ‘Harry Potter’, we have witnessed a lot of beautiful sceneries in this film and its all thanks to the DP. They made a good choice by hiring him for this film and his superb work here is quite apparent. To a certain extent, the dark and creepy tone of the film made it very un-Potteresque and the cinematography greatly contributed that. He knows how to film certain locations, like the cave exterior in a way that puts you in awe. ‘Inglourious Basterds’ didn’t really strike me, cinematography-ly (if this is even a word) but seeing that this movie is dialogue-heavy and made up mostly of conversational sequences, I believe that the DP must have done a good job to film these conversations in a way that make the audiences glued to their seats. But then again, with Quentin Tarantino’ writing, you’ll be glued anyway. Suddenly, in front of his father, he forgot how to do the magic trick. Finally, ‘The White Ribbon’. I would say that this is probably my favorite film among the nominated films that I have seen in the past couple of weeks. I guess once the Oscar Watch is over with, I might just sit down and write a full review of the film. But for now, we would just have to make do with the cinematography aspect of the movie and this is indeed the most important aspect of the film. The cinematography here sets the mood for the film. You see in this movie, the camera hardly moves. The cameraman either puts the camera in one place and hence capturing the full view of a room with two people sitting down having a conversation, or a very still close up shot of an actor that is captured in a way that makes you truly feel his or her emotions. And by making it still and with hardly any editing, you will be able to experience how the expression on the actor’s face changes from normal to sad or normal to happy. And I have also noticed this one tracking shot that starts off with the pastor’s wife cutting off the white ribbon in a room. It might not be as grand as the tracking shot in Atonement or suspenseful as the one in Children of Men, but it really made your heart stop breathing for a while. Basically, there is just something about the way the movie was shot that really moves you to a certain extent. At the end, I would say it comes down to either ‘Avatar’ or ‘The Hurt Locker’ and the same issue arises here that arose for Art Direction; modern technological approach or traditional approach. I am going for ‘Avatar’ here because of the word ‘achievement’ in the category. If that word is not there, I would have given it ‘The Hurt Locker’ or ‘The White Ribbon’ for that matter. I can pretty much say by now that ‘Avatar’ is going to sweep all the technical awards as the movie overall represents an achievement in filmmaking. Achievement. That’s word of the month. It is said that a film is made in the editing room. 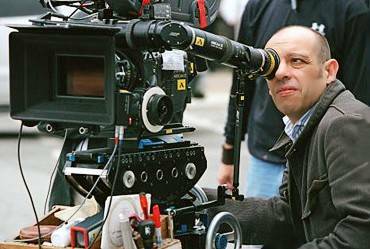 It involves the selection and combining of shots, connecting the resulting sequences and ultimately creating a finished motion picture. In other words, it is an art of storytelling. Yes, I took that word for word from Wikipedia. Basically, if the editor does a bad job where the wrong shots were used and sequences were out of place, you might not ‘feel’ the film as was intended. 'Attack of the Killer Smoke' started filming last month. 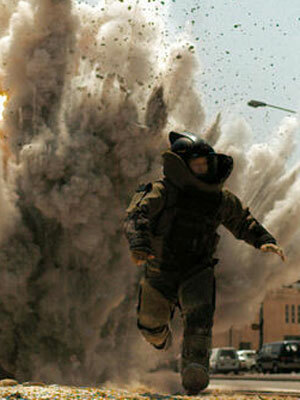 Lets first look at ‘The Hurt Locker’, the movie which I am rooting for in this category. The editor did a brilliant job especially during the more intense sequences by choosing the right shots to keep you intense. It shows the emotional expressions on the actor’s face, which makes you care for him. There are also close-up shots of the actor’s hands trying to diffuse the bomb, which makes you realize that the task he is trying to complete is a difficult one. And there is also a wider shot that shows the actor in the environment that he is in, which adds to the tension because you know what is at stake if the bomb goes off. All these shots, which were shot to perfection by the cinematographer, were connected in such a timely manner so that you will experience these feelings all at once. Subsequently, this will put you at the edge of your seat while gritting your teeth simply because you care. For example, if the editor only chooses to focus on the actor’s expression, you won’t be able to feel anything for the actor because you don’t know what he is doing since the shots showing the actor’s hands diffusing the bomb have been omitted. So ‘The Hurt Locker’ was a gripping drama mainly thanks to the editors. ‘Avatar’ is a second favorite here mostly because it is ‘Avatar’, and it is destined to sweep all the technical awards. Does it deserve it? Yes, I think so. Being an effects-driven film, I figured that a lot of cool shots were created for the film and that the editors had a taxing job of selecting which are the better shots to give the audience a ‘wow’ factor. Did we all go wow while watching ‘Avatar’? Yes, we all did but we wouldn’t have if the editors had chosen the wrong shots and didn’t assemble it properly. Seeing that James Cameron is also nominated for this category, he must have had a hand in this to ensure that the finish product is as he envisioned it 12 years ago. As for ‘District 9’, the editors did an excellent job to give the movie, a feature film, more of a documentary feel and it works. The film was intended to be a mockumentary and that was how the script was written and how the movie was shot. Hence, the editors had to ensure that the end-product does look and feel like it. In my opinion, they did a good job with it. The government took extreme measures to make people pay their tax. In ‘Inglourious Basterds’, most of the shots were those of people having conversations, which I have reiterated many times. For some people, especially myself, conversations at times can be boring. Thus, the editors here had to make certain when choosing and connecting the shots for a certain scene that it will not linger at a single shot for too long or the audience might get bored looking at the same person. The editors had to make sure that the shots will move from one person to another person at the right punch line and at the right timing. By doing this right, the editors have turned the conversation scenes as riveting as the bomb-diffusing scenes in ‘The Hurt Locker’. Lastly, ‘Precious’. The movie is about Clareece ‘Precious’ Jones. The intention of the film is to show the audience what a sad character she is. The filmmaker wants you to feel pitiful towards her, which we all did. Again, great job by focusing more on the close up shots of her face during the rough times. This enables the audience to feel sorry for her, especially since Gabourey Sidibe wore one of the saddest facial expressions I have seen last year. She did a fantastic job with her character and I am glad that editors knew how to express it to the audience. This is one category with a solid list of nominees. NASA's new designs were stunning. This category is seriously a no-brainer. I mean, ‘District 9’ and ‘Star Trek’ are simply being nominated to fill up the two vacant spots. We all know who is the clear winner here and you don’t need me to tell you who will win. For all the Avatar-haters out there who might be wondering what makes ‘Avatar’ so special that it deserves this award, I shall tell you why. Look at every single word in the category. It doesn’t say ‘Best Visual Effects’ but it says ‘Best ACHIEVEMENT in Visual Effects’. Achievement is the key word here and what exactly has ‘Avatar’ achieved in terms of visual effects? Loads. For instance, an upgrade from motion-capture to performance-capture, which allows the filmmaker to capture every single detail of the actor’s facial expressions. Then there is the new camera that was developed, which allows the director to see his actors in full Na’vi glory on an LCD screen during filming, as opposed to waiting a couple of months after post-production work is done. Then of course there is the whole new 3D experience. I also feel that someone from ‘Avatar’ will also pick up one of those technical Oscar. You know the one where there’s a ceremony being held a week prior to the Oscar and is being hosted by some hot actress (Jessica Biel or Jessica Alba) and they will honor those who have created some sort of new technology for filmmaking. Now, I could go on and on with ‘Avatar’ but I won’t. Those who have seen ‘Avatar’ (I dare say everyone), will know why it deserves this award. Plus, like I said, achievement. ‘Star Trek’ utilizes mostly existing technologies and though ‘District 9’ may have successfully blend visual effects and make-up together in a documentary style film, the work done here is nowhere near what has been done for ‘Avatar’. Plus, if you have seen the blu-ray, the effects on ‘District 9’ tend to look fake every now and then. That is why I feel that ‘Transformers: Revenge of the Fallen’, as horrible as it was, should have been nominated for this category. That’s what I call achievement too. But since the first one was already nominated and the second movie doesn’t seem to achieve anything new in terms of visual effects, that probably explains why it was snubbed. hi this s kiran from Bangalore(India). i am looking from cinematography course. if know the any good institution pls contact my mail.